"Mix-ups, Mishaps, Madness, and Mayhem... It's all part of the service." Blame It On The Bellboy is a comedy. 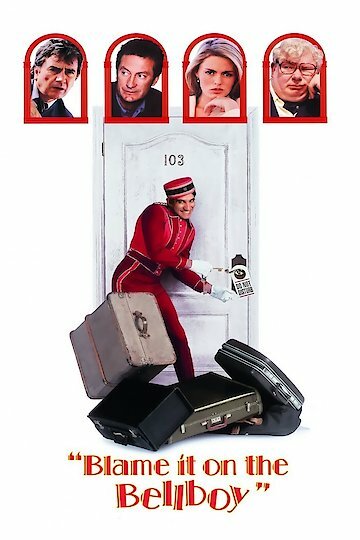 Three very different men (a hit man, a married man looking for an affair, and a real estate agent) all check into the same hotel and due to the bell boy delivering messages to the wrong people wires get crossed resulting in funny and confusing situations. Blame It on the Bellboy is currently available to watch and stream, buy on demand at Vudu, Google Play, iTunes, YouTube VOD online.